Need an easy homemade Christmas gift idea? 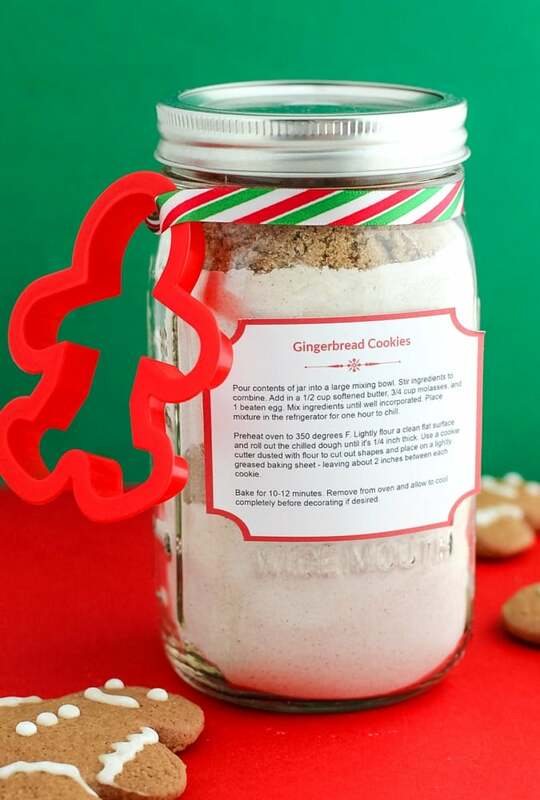 This Gingerbread Cookies in a Jar Mix (with free printable labels!) 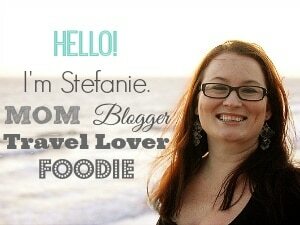 is super simple to put together! Make as many batches as you need to give the gift of delicious gingerbread cookies this holiday season. Homemade Christmas gifts are my favorite holiday gifts to give and receive! Over the years I’ve gifted Gingerbread Sugar Scrub, Peppermint Sugar Scrub, and Reindeer Hot Chocolate Cones — all of which have been huge hits, especially as teachers gifts! 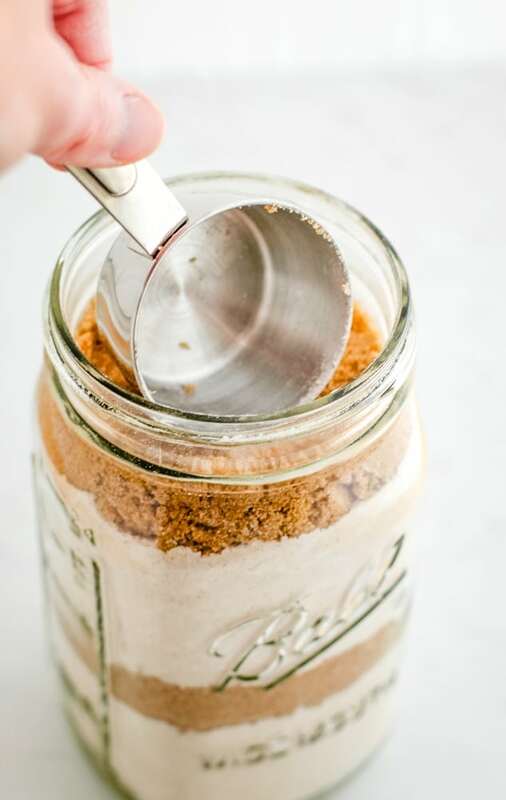 This year I thought I would mix up an old favorite—a recipe for Gingerbread Cookies— to make layered Cookie Mix in a Jar! Christmas cookie jar gifts are classic...it’s hard not to love the gift of homemade cookies! For this Gingerbread Cookie Mix in a Jar, the recipient simply dumps the dry ingredients in a large bowl and mixes them with butter, molasses, and an egg before baking. 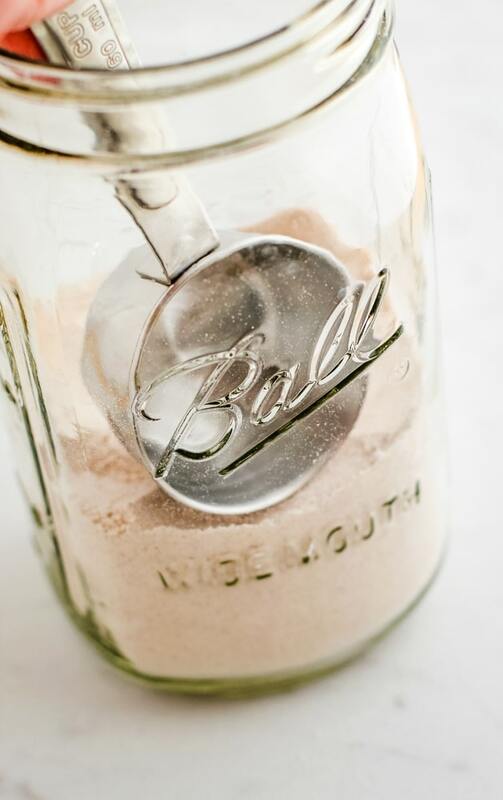 The instructions are conveniently displayed right on the mason jar—there’s even an attached gingerbread man cookie cutter to make the baking process even easier! 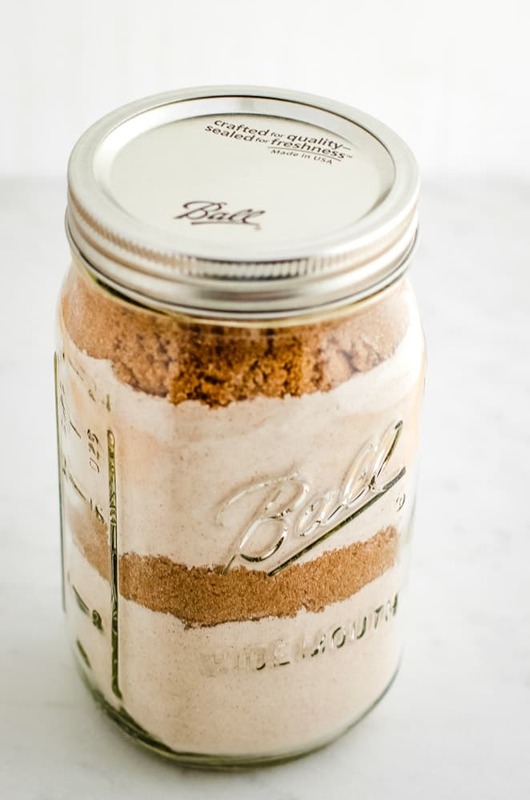 If you’re attending holiday parties this season, this mason jar cookie mix is an ideal hostess gift, too! 1. Use scissors to cut out printable tags (preferably on white cardstock or sticker paper ). 2. In a large mixing bowl, add all ingredients except for the brown sugar. Use a whisk to combine. 3. 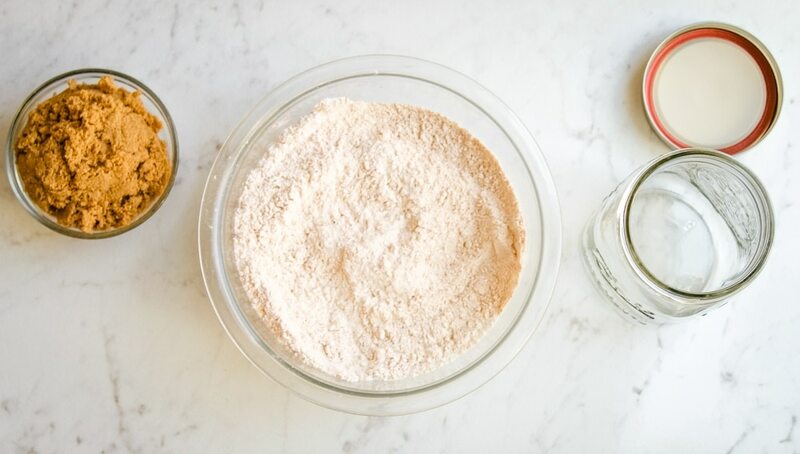 In a 1-quart mason jar, pour in half of the flour mixture. Use a ¼ measuring cup to pack the mixture. The full content of the ingredients will not fit in the jar if it is not packed well. 4. Next, add half of the brown sugar and again – use a ¼ measuring cup to pack the mixture. 5. Pour in the remainder of the flour mixture, pack, and then add the remaining half of the brown sugar. Pack again before adding a lid screwed on tightly. 6. 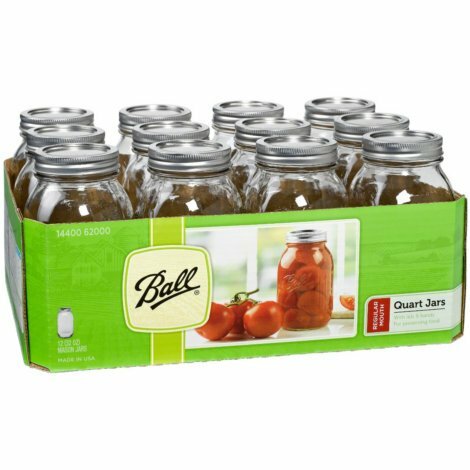 Attach the printed instructions label to the mason jar. 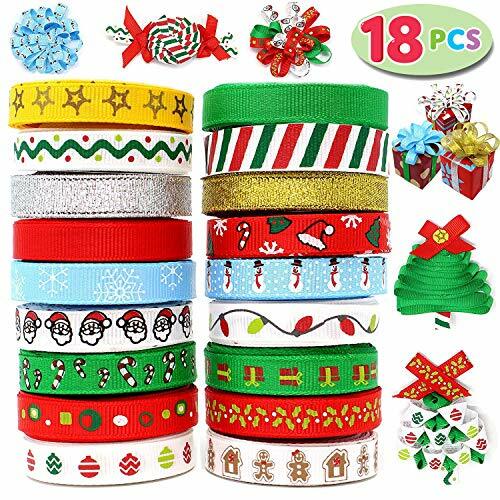 If the label is printed on cardstock, use double-sided tape to secure on the outside of the jar. You can also punch a hole through the label and thread through the ribbon at the top of the jar. 7. 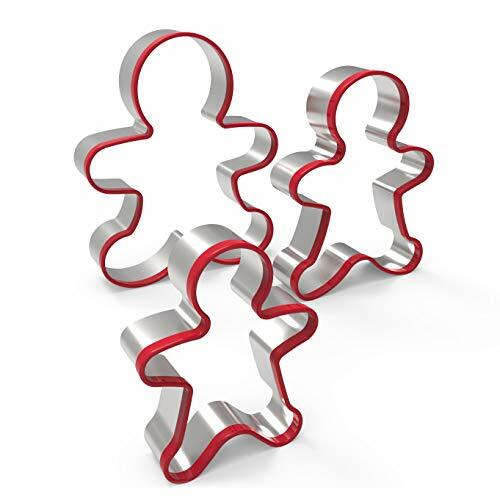 Add a gingerbread cookie cutter to the jar, securing with ribbon. 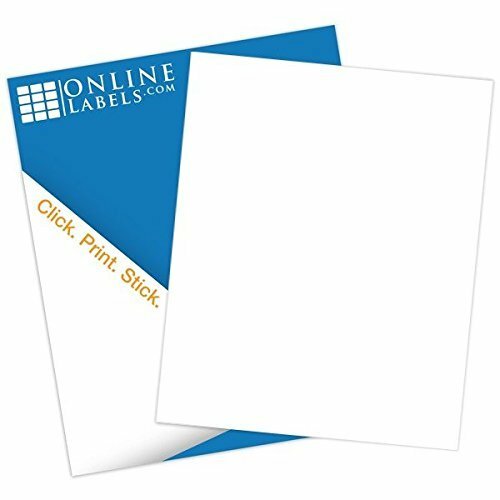 Use scissors to cut out printable tags (preferably on white cardstock or sticker paper). In a large mixing bowl, add all ingredients except for the brown sugar. Use a whisk to combine. In a 1-quart mason jar, pour in half of the flour mixture. Use a ¼ measuring cup to pack the mixture. The full content of the ingredients will not fit in the jar if it is not packed well. 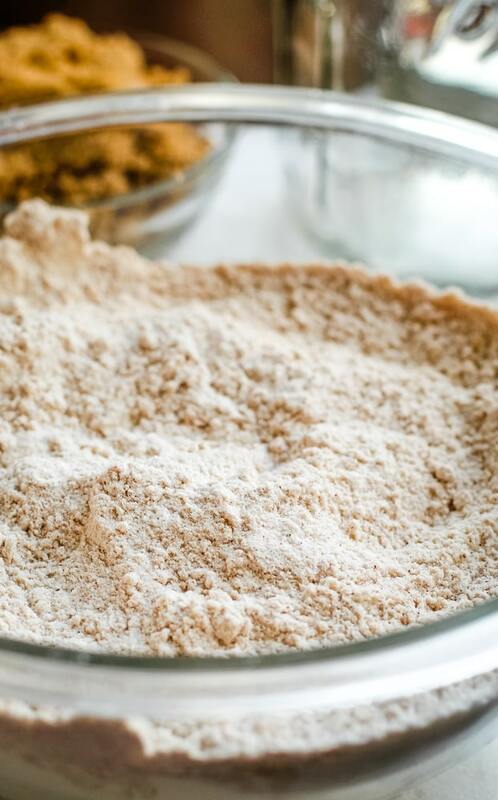 Next, add half of the brown sugar and again – use a ¼ measuring cup to pack the mixture. Pour in the remainder of the flour mixture, pack, and then add the remaining half of the brown sugar. Pack again before adding a lid screwed on tightly. Attach the printed instructions label to jar. If the label is printed on cardstock, use double-sided tape to attach the printed tag to the outside of the jar. You can also punch a hole through the tag and thread through a ribbon in order to attach it to the jar. 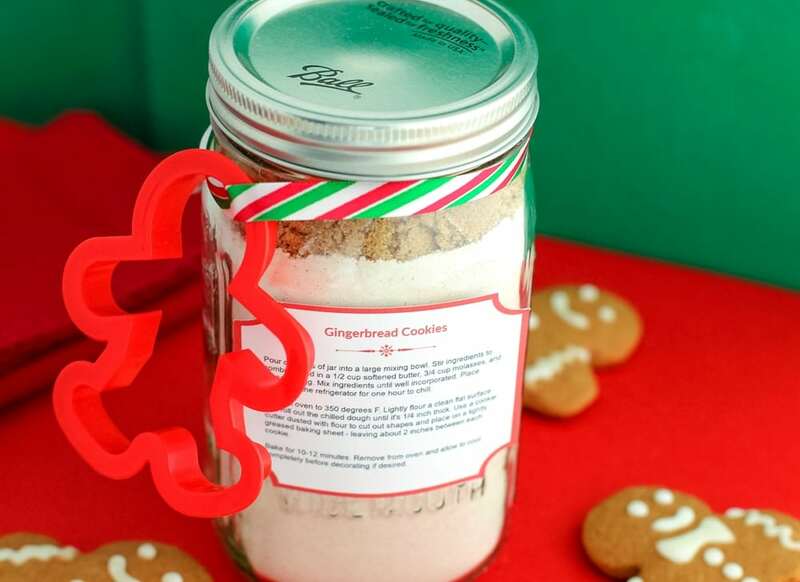 Add a gingerbread cookie cutter to the jar, secured with ribbon.